Honda Motor Europe is pleased to announce that an agreement has been reached with Triple M Racing to run a third Honda CBR1000RR Fireblade SP2 machine in the 2018 FIM Superbike World Championship. The team has been a constant presence within the World Superbike paddock since 2013 by racing in the Superstock 1000 category. 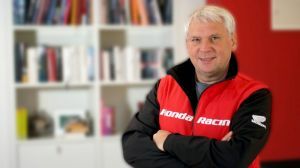 As a natural step in the continuing growing effort and investment within motorcycle racing through the years, team owner Matthias Moser has decided to take the team up to the main class of production-based motorcycle racing and to do so with Honda, the world’s leading motorcycle manufacturer.